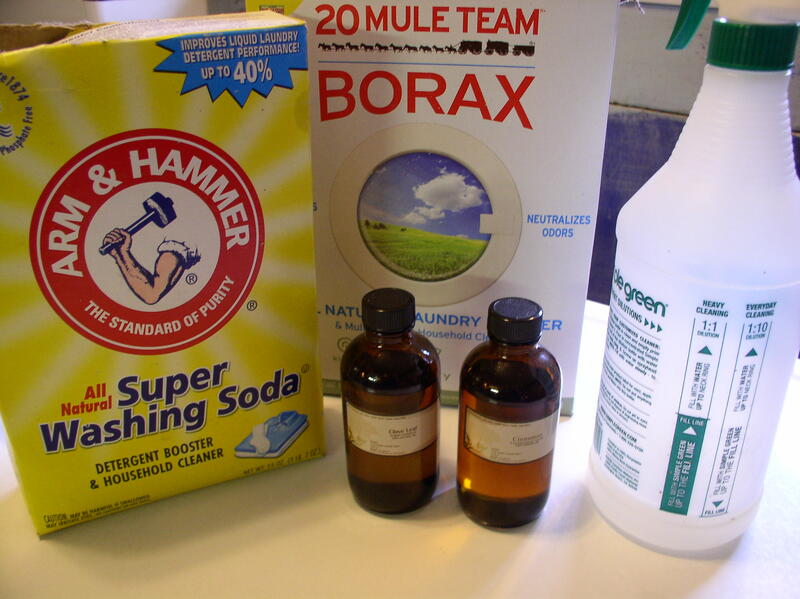 Here is a wonderful recipe for an all-purpose cleaning spray that smells great, and works really well. It is so popular in our house right now that ED deep-cleaned her bedroom just because she liked the fragrance of the cleaner so much! It’s scented with cinnamon and clove essential oils, which are also antiseptic. Not only does this preparation clean, but the essential oils disinfect and provide a natural fragrance. Combine the ingredients in a spray bottle. Shake to dissolve and blend the minerals. I like to spray this cleanser onto a surface , then leave it on for 15 minutes or so before I wipe it up with a rag, to give the essential oil’s antiseptic qualities time to work. Storage: Leave in the spray bottle, or store in a glass jar with a screw top. Here are three super delicious, very easy ways to prepare tomatoes for on pasta. They all take advantage of fresh-from-the-garden tomatoes, and the last one also works well with canned tomatoes. This is what I ate the night ED was born, twenty years ago on the 23rd. Sigh. It’s perfect for tomato season, when it can be so hard to stop what you’re doing outside to come in and fix dinner. Put your water on to boil for pasta. I like angel hair or thin spaghetti; the rest of my family prefer something tubular. Whatever you choose, while it’s cooking, coarsely chop some good ripe tomatoes—for a pound of pasta, you want three or four cups chopped. Next add a generous glug of olive oil, and some finely minced (or pressed) garlic; minced fresh herbs—especially basil; salt and pepper, and some kind of vinegar. Not a lot of vinegar, but a good sprinkling. I usually use balsamic or red wine vinegar, and lately I’ve been using umeboshi plum vinegar, which I love so much, I use it on everything! Toss all this together—it should be juicy. Taste and add a little more salt or vinegar if you think it needs it. Next toss it with the hot drained pasta, and top with a bit of cheese—ideally feta, but grated romano will work. It won’t be hot, more like room temperature, but so nice on a hot evening! We just discovered this one this year, and it’s incredibly good! Especially with homemade butter and homegrown tomatoes. While cooking a pound of whatever pasta you prefer, melt 6 or 8 tablespoons of butter in a saucepan on medium low heat. Add a few (4?) cloves of very finely minced garlic and cook gently (do not brown the garlic). Add a 1/2 teaspoon or so of lemon zest, a couple of tablespoons (maybe even 3 or 4) of lemon juice, and two cups of either diced big tomatoes, or halved cherry tomatoes. Simmer gently until the tomatoes are soft, and add a big handful of chopped fresh basil leaves, and salt and pepper to taste. Toss with the hot pasta and serve immediately. This time I’m not going to tell you to cook your pasta, because I’m sure you already know that. So don’t be surprised and shocked, when at the end of the recipe I tell you to toss the sauce with hot drained pasta. Because you knew that, right? Put a good glug of olive oil in a skillet—I prefer a stainless steel skillet for this because of the acidity of the tomatoes. Heat over medium heat. Add one slivered medium onion, and two or three cloves of garlic, whacked with the flat side of a knife, and then chopped into a few big hunks. Saute for a minute or two, but before the garlic browns (nothing worse than the bitter taste of browned garlic), add an anchovy fillet or three, and a minced fresh hot pepper. (You’ll have to determine how much pepper to use, because it depends on your taste for hot food, and the heat of the pepper. For the four of us, a whole average-heat jalapeno or fish pepper without the seeds, is perfect.) Stir those around a little, and when the onions have started to brown just a little, deglaze with a small glass of red wine, and then add a quart of chopped fresh tomatoes. Cook for twenty or thirty minutes, until it’s pretty well cooked down, and add some chopped fresh herbs—oregano or marjoram or basil. Toss with the pasta, which should be pretty al dente so that it can absorb any extra juice from the sauce without becoming mushy. Serve with a generous grating of Romano or something equally sheepy. This adapts very well for winter use, too—it’s one of our winter staples. Just use a quart of canned tomatoes instead of fresh, and red pepper flakes and dried oregano or basil. Please don’t skip the anchovies, though—they really make this sauce, without tasting fishy at all. As a matter of fact, you probably wouldn’t know they were in there, except they make it exceptionally wonderful, and it’s a little flat without them. These are two of my favorite recipes this summer. The first—Tomato Pie—was given to me by a lovely woman at a little restaurant on Edisto Island last fall, and I’ve been playing around with it all summer. The second—Chocolate Dulce de Leche Ice Cream is pretty much my own, and it’s Darn Good. Grease a pyrex baking dish (I use homemade lard). Slice enough tomatoes to fill it. I like my Juliet canning tomatoes best for this, as there’s not as much juice, so it all holds together better. The big heirlooms are a lot sloppier, but taste great! Now sprinkle with salt to taste, and about the same amount of sugar. Toss in a couple of glops of mayonnaise—Hellman’s is good— and a few handfuls of saltine cracker crumbs, enough to sort of start soaking up the juices. Now mix in some chopped fresh herbs of your choice—my favorite is a combination of tarragon and basil. Bake at 375°-ish until it’s somewhat set up and bubbling hot—1/2 hour? Hour? Mix 1 1/2 cups dulce de leche* with 3 cups heavy cream. Moisten 1/2 cup of cocoa powder with cream, smoothing out any lumps, then slowly mix in the cream/dulce de leche mix. Add 1/4 to 1/2 teaspoon kosher salt, depending on how much you like the caramel/salt flavor combo. Freeze in your favorite ice cream freezer. Makes around a quart. * Dulce de Leche is a caramel sauce. I hear you can A) find it in Mexican grocery stores, or B) make it by boiling unopened cans of sweetened condensed milk in a boiling water bath. I haven’t tried either of these, instead opting to make my own using our own Jersey milk. My recipe is 2 gallons of milk and 8 cups of sugar (notice the 1 quart:1 cup ratio), simmered until reduced and golden brown (Takes hours). If you make it with goat’s milk, you get cajeta. -Combine prepared peaches with the brown sugar and lemon juice, and 1/4 cup of the bourbon, and let sit on the counter overnight, covered. -Transfer peach mixture to a wide, nonreactive pan with a lid. Add remaining bourbon. Bring to a boil. Cover, reduce heat, and simmer for 15 minutes, stirring occasionally. The peach chunks will be translucent. Remove lid, add granulated sugar, and cook rapidly, constantly stirring, until it reaches a temperature of 220°. Remove pan from heat, stir in pectin, and boil for 2 minutes more. Ladle into jars and process in a water bath. Makes five(-ish) 8-oz jars. This is just one of the many wonderful recipes in The Yellow Farmhouse Cookbook by Christopher Kimball. Someone asked why we buy pullets instead of cockerels for our meat birds, and there are a few reasons, first being that pullets stay tender longer—lots longer, so there’s not quite so much pressure to get them into the freezer at just the right time—you get a little more leeway. Also the few you can’t catch at butchering time are still great for soup months later when you finally can catch them, unlike the cockerels, which get too tough for my taste. Another reason is that the pullets are the cheaper birds, in meat birds. They take a little longer to finish, but that’s fine with me, as I generally procrastinate butchering-type chores. And a listing of the canned goods this year, though I must say that most of my friends and neighbors outdo me—I can’t ever seem to catch up with them! We canned 69 quarts and 1 pint of tomatoes. 4 pints, 6 half-pints, and 12 quarter-pints of peach bourbon jam. 13 pints of bread and butter pickles, 6 pints of mustard pickles, and 9 pints of okra pickles. I may still do more tomatoes, and I’ll definitely make some pickled hot peppers (jalapeno and fish peppers), and applesauce, and cider, and possibly ketchup. I must agree with tapsalteerie—it really is fun (though a lot of work, too). Right now I’m sort of between preserving projects, and I’m itching to make something! I think that’s all the catching up I needed to do, though I have a nagging feeling that I’m forgetting something—if I remember it I’ll edit it in! OK. So first, you put two cups of white corn masa flour in a bowl with a half teaspoon or so of salt. Add a cup to a cup and a quarter of water, knead until you have a pleasant dough about the consistency of PlayDoh. Now coarsely chop a few pieces of bacon. Fry in a skillet until bacon is crisp and all fat is rendered. Set bacon aside to drain on paper towels, leaving grease in pan. Now shape the masa dough into 3 to 4 inch-diameter patties, patting it down until it’s about an eighth of an inch thick—maybe 2 or 3 tablespoons of dough each. Fry these on both sides in the skillet of hot bacon grease. They’ll still be pale—maybe only lightly tanned—and soft in the middle. Set aside to drain on paper towels. Slice a really good heirloom tomato—preferably a Carbon, though whatever you have should work, as long as it’s perfectly ripe. Now on each little masa cake, spread a little mayonnaise—really (I hate to say it) Kraft is the best, though a homemade aioli might be ok—add a slice of your perfect tomato, and sprinkle with some of the cooked crumbled bacon. You’ll have to stand over the sink to eat this, but holy cow. Maybe the best thing I’ve ever tasted. I started out by cubing yesterday’s leftover biscuits (recipe to follow); maybe a dozen-ish? Put them in a greased casserole-type oven-proof baking dish that must be about 9 inches square. Sprinkled the biscuit cubes with a bit of nutmeg and a couple handfuls of dried blueberries. Then in a bowl I mixed a half dozen eggs with maybe two or three cups of half and half and some heavy cream and a little brown sugar. Poured that over the biscuits, felt it needed more moisture, so I dribbled more heavy cream over it, and let it soak overnight. Then this morning I made a streusal type thing by mixing a stick or so of very soft butter with a half cup of flour and maybe three quarters of a cup of brown sugar so that it was almost a batter consistancy, and spread that over the stuff in the baking dish. I baked it for an hour at 375° or 400°, until it was pretty nice and brown on top. I often make these things for the Inn, and I never follow a recipe (can you tell? )—sometimes I use leftover bread, last week I used R*’s leftover Irish Soda Bread with pecans and no blueberries. It’s easy to make and people love it. Measure 3 cups of self rising flour into a bowl. The very best is King Arthur’s—it is unbleached and uses aluminum-free baking powder. Next, on the course holes of a grater, grate in 1 stick of very cold butter. The butter can even be frozen, which might not be a bad idea if you’re working in a very hot kitchen. Using your fingers, work the butter into the flour; be quick so the butter stays cold. You’re mostly just trying to disperse the butter evenly throughout the flour; it’s good to leave it in fairly good size pieces so that your biscuits will be flaky. Then pour in 1 cup of very cold milk or buttermilk, mix rapidly, turn out onto the counter and knead briefly and lightly until the dough looks fairly smooth; roll it out to about 3/4 of an inch thick, and cut out biscuits with a water glass. Don’t twist the glass! Just straight down and up; if you twist, your biscuits aren’t going to rise because you will have pinched the edges shut. Place them on an ungreased baking sheet and bake in a hot oven (450°) for about ten minutes, or until the tops are lightly browned. My friend J* over in Tennessee says her grandmother taught her that a real lady never lets her biscuits get brown at all—(pure white=virginal? )—but fortunately I’m from Georgia, not Tennessee; and not much of a lady anyway.